Take on a snappier look with this black dapper moustache. 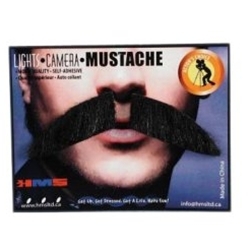 Synthetic hair moustache on lace & paper backing for easy application with included theatrical adhesive tape. Available in black, brown or gray.